We all know we shouldn’t judge a book by its cover. But, let’s face it, covers matter. 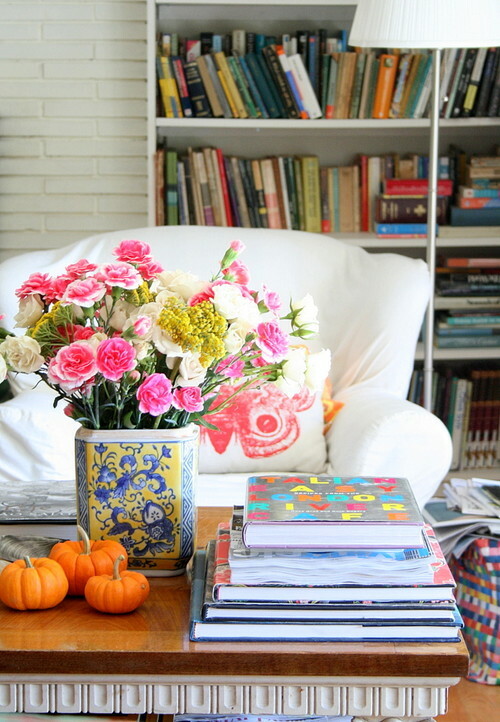 Your books may be functional, but attractive covers can also be used to decorate your space. Book covers can serve as stand-alone works of art. By rotating the books in your collection, you can achieve a variety of looks and moods, without ever spending a dime. 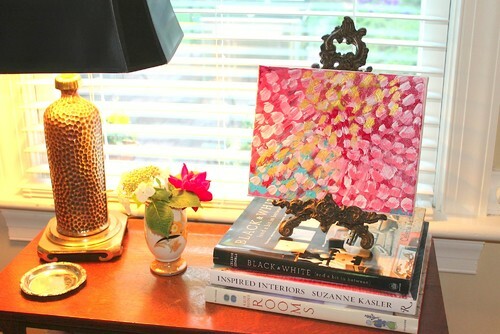 Here are interior design ideas that use table books as decorations. Show their faces. Ever noticed you are more drawn to the books in a bookstore that are displayed with their full covers? Placing attractive books in this position on your book shelves and display cases draws the eye. You can arrange them by color, season, or theme. Create a stage. Stacking books on their side can elevate accessories so they aren’t all displayed on the same plane. Or, they can serve as a stage to display a real piece of art. Covers by color. What a fun “coincidence” that the colors in the fresh floral arrangement mimic the colors in the cover of the display book. Peruse your coffee table books for covers that blend with other key room accents. Want more tips? Subscribe to my Susan Currie Design blog for interior design inspiration.